There is no better tool that consumers can use to chop lumber than a chainsaw. 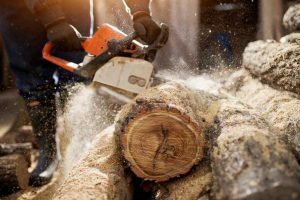 Nowadays, there are plenty of choices for those looking for a brand new chainsaw, ranging from electric models to gas-powered ones. 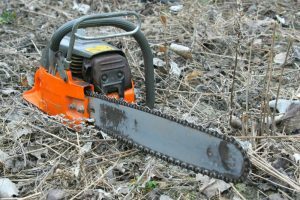 While both of these types of chainsaws have their unique advantages and disadvantages, electric chainsaws have become the preferred option for many homeowners. Here below we look at some of the reasons this is happening as well as answer the question: are electric chainsaws safer? 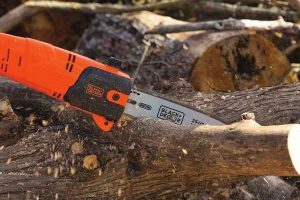 A major feature that most people consider when doing chainsaw shopping is safety, especially considering the need to protect your extremities. Gaining knowledge of how to properly use your chainsaw is vital to ensuring chainsaw safety. Remember to always read the safety manual and wear protective equipment when using any chainsaw. In general, provided you use your chainsaw for the appropriate tasks and maintain it correctly, you should not have any problems. However, chainsaw usage does have some hazards, which include kickback, risk of cutting yourself and hearing loss as well. That is why complex felling jobs are best left for experts. 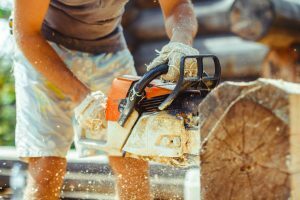 Let us look at some of the differences between electric and gas chainsaws as we explore which of these power tools is safer. An electric chainsaw is a versatile and handy tool when you want to focus on trivial tasks. 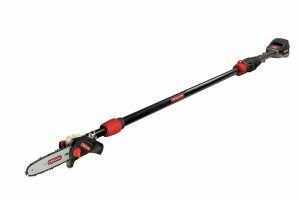 If light pruning, chopping and tree trimming are what you plan on doing, then getting an electric saw may just be what you need. The cutting edge or bar will usually range between 8 and 18 inches, which means that these electric models will be lighter to use. Since it is less powerful and lighter, an electric chainsaw usually carries less kickback force compared to a gas model. The kickback refers to the initial jolt that happens once the chainsaw tip hits the log that you are cutting. Since the electric chainsaw has less power, there is less probability that the kickback is a lot more than inexperienced users can handle. Gas chainsaws are known for being quite loud, which is one common reason why most homeowners avoid them. The advantage of using an electric motor is that they are significantly quitter during operation. This sound benefit is especially essential in residential areas where you want to trim your trees peacefully without bothering your neighbors. 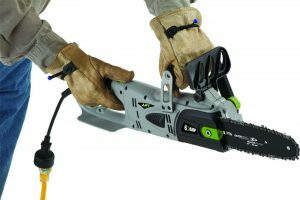 When using a corded electric chainsaw, you are guaranteed continuous power delivery to your device. It eliminates the need of worrying about running out of gas during your job. Nevertheless, if you opt for a cordless electrical model, then you might need to bring some extra batteries to ensure your work does not slow down. A cordless electric-powered chainsaw is normally recommended for those who value convenience. 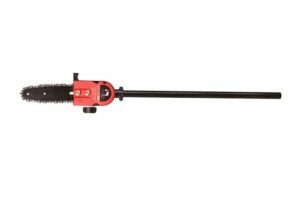 Just like the regular cordless drill, this kind of chainsaw is best for light duty work. However, if you need more power, you will need to use the corded model, particularly since you are losing a bit of power when using electric models. Despite all their benefits, electric chainsaws do have some disadvantages as explained here below. Nevertheless, most people find that these are disadvantages that they can accommodate and live with, especially since they use their electric chainsaws sparingly. The only reason you would buy a gas-powered chainsaw instead of an electrical one is power. This is because electric chainsaws always have less power. Most people consider this an advantage, particularly those who are just starting out with chainsaws as it reduces the learning curve. While corded models deliver continuous power to the motor without concerns about fuel being depleted, you will need to put up with having the cord around you during the job. It also means that your range of movement is limited to the length of your cord. In addition, if you do not take extra care with a corded model, you can easily cut off the cord with the chainsaw. The biggest benefit of gas chainsaws lies in their power. An engine with higher CCs can deliver enough power to cut down large trees easily. All this power, however, comes with lots of safety precautions and it is usually used by professional lumbers rather than homeowners. 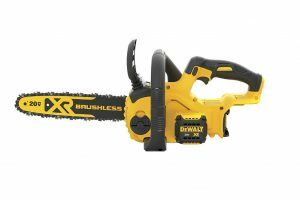 You can literally take a gas powered chainsaw anywhere, including far off areas like the forest. Provided you have a decent amount of oil and gas reserve, you can easily handle most jobs without worrying about electrical charges or finding a power outlet. 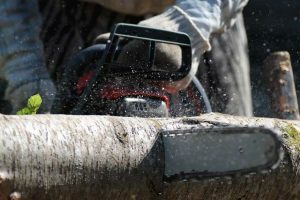 Although gas chainsaws may have more power and slightly bigger guide bars for handling heavier cutting tasks, they have some key limitations such as safety and maintenance issues. The presence of more power in a gas chainsaw means that the risk of injuries when using it is significantly higher than when using an electrical one. If you are a beginner, it is best to start simple and get an electric model as it will be much lighter and safer to use. Gas chainsaws require more maintenance work than electric models. Actually, you must give a gas chainsaw enough time to cool down after doing some cutting work before you do a refill. Storage is also another issue due to the fact that the gas tank could spill when stored incorrectly. The answer to the question; are electric chainsaw safer is a big yes. They are lighter, produce less power, more consistent and can be used by both experts and beginners. However, you should never underestimate the power that these electric models can produce. 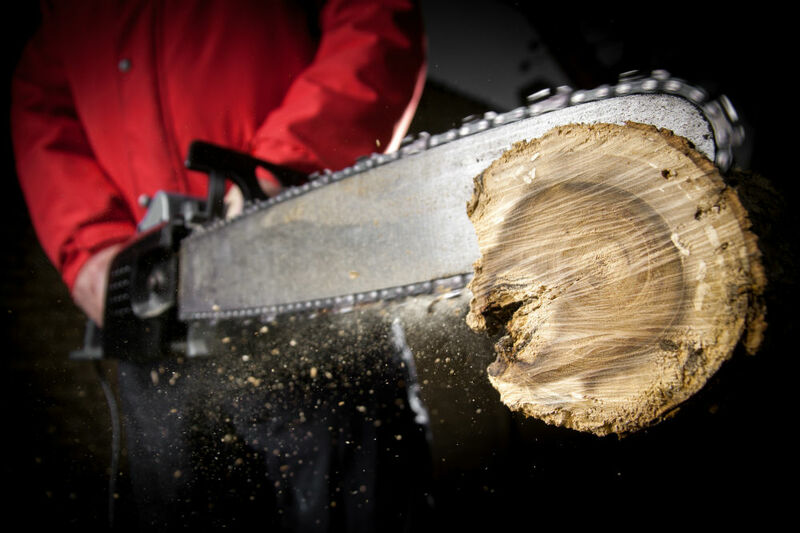 Make sure you always use your chainsaw within your limits while wearing protective gear.